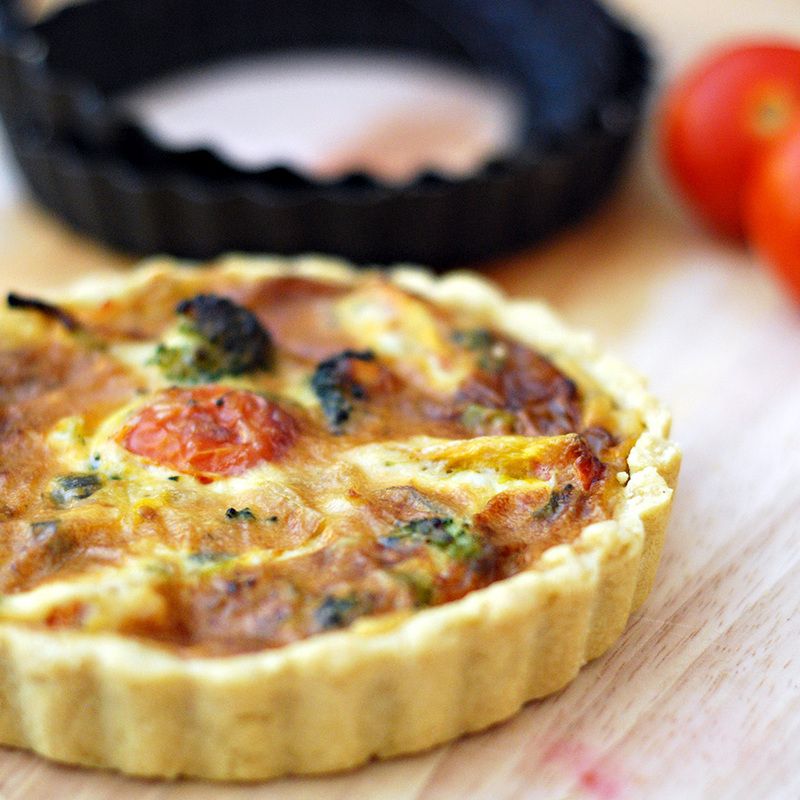 Quiche is something I always cook, it doesn’t take long to prepare and you have endless options of fillings. The base for this quiche can be used as a base for any kind of tart you want to make, even sweet ones. Ideal for dinner parties, this quiche taste as good as it looks. In a bowl mix the vegan margarine and the flour until a smooth dough. Divide the dough into four individual quiche trays or one 24cm round springform baking pan. In a pan fry the onions and garlic until tender. Add the spring onion and broccoli florets and cook, stirring for about 4 minutes. Add the vegetable cube, pine nuts, tomatoes and black pepper and cook for another 4 minutes. Pour the single cream and stir for 2 more minutes. Divide the filling into the trays and bake it for 30 minutes of a pre-heated oven at 180c. This quiche goes really well with rice and salad. Enjoy!